Check out the newest cruises available in Duck! Trips to Sanctuary Vineyards and Sunset Cruises available each week. Perfect for couples and even groups! From sunset cruises to a vineyard voyage, there are plenty of terrific adventure activity options for boat lovers to enjoy in Duck, North Carolina. Kitty Hawk Kites is pleased to offer not one, but two diverse boat excursions, which take place during various times throughout the week of your vacation! Wine and boats, what’s not to like? If you agree with this statement, then you may want to learn more about our Vineyard Voyage! 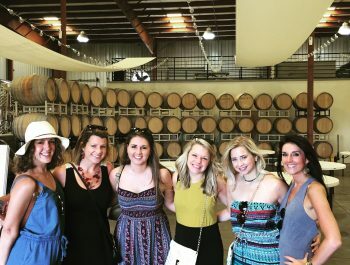 Take a memorable trip across the Currituck Sound to Sanctuary Vineyards in Jarvisburg, NC. This cruise will lead you through the breathtaking canals and historic hunting area of Dews Island, located just off the Currituck County mainland. Once you arrive at the vineyard, you’ll have the opportunity to taste and sample fine locally grown and bottled NC wine. You’ll also have to opportunity to explore the inner workings and vines found at this top-notch vineyard. 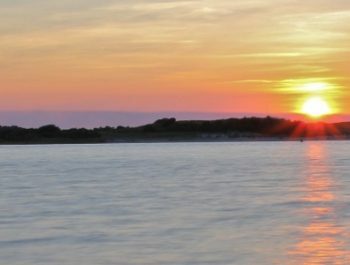 Apart from our vineyard cruises, we also offer a Currituck Sound Sunset Cruise! Escape the crowds to admire the serenity of an Outer Banks sunset. Passengers will enjoy a panoramic view of the sound as the sun sets in the distance. Each sunset is unique as the light reflects on the clouds over the water.